The Reform of the Reform: Style Over Substance? 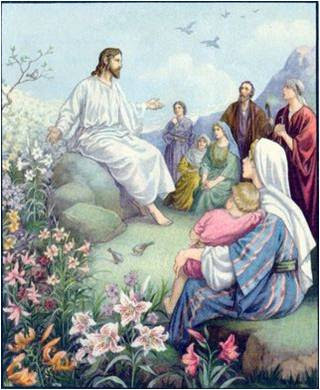 The offertory proper for the 27th Sunday in Ordinary Time, Vir erat, poses a special problem for scholas because of the length of the text and the intense drama associated with the story of Job that that it covers. The text itself is tied to the readings of the day, which include this from Philippians: "Have no anxiety at all, but in everything, by prayer and petition, with thanksgiving, make your requests known to God." This has been a text that has inspired polyphonic composers for hundreds of years. Here is a sample from G.A. Palestrina, as sung by the Florida Schola Cantorum. One of the singers is Edward Schaefer himself, the world-renown chant scholar who is also a practitioner of the Renaissance polyphonic form. This was sung in a concert setting. The Gregorian chant setting in Latin is very long and rather difficult. I'm sure that it is being sung in various places in the English-speaking world by experienced scholas. But what about parishes that are only now working toward embracing the propers of the Mass? This is the reason for the Simple English Propers. 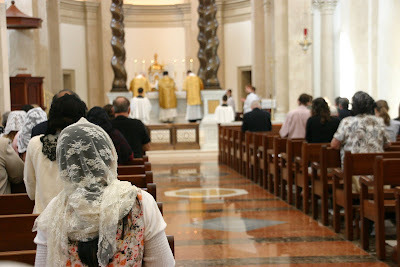 It make it possible to sing the propers of the Mass rather than replace them with a text and song of our own choosing. 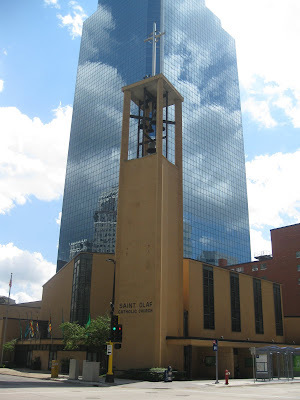 Here are practice videos for the entrance, offertory, and communion chants. 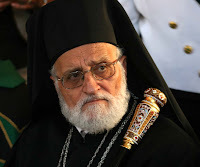 Theologian Msgr. Andrew R. Wadsworth delivered a talk, entitled The Making of the Missal, to the students and faculty of Christendom College on September 19. Msgr. Wadsworth, the Executive Director of the International Commission on English in the Liturgy (ICEL), examined the role of the Commission in producing the new translation of the missal of the Roman Rite. "A frequent observation made in relation to the new translation is that it is more formal," Msgr. Wadsworth said. He clarified that the formal language was used to reflect the quality and the characteristics of the original Latin text. It also avoided the regional differences, which are found in the English language when it is used colloquially. "The difference that we have in our language, when we use it in an everyday way, does not exist to the same level when we move everything up a notch," he said. "When we move everything to a more formal register of the use of English, then we have a language that is common across regional and national boundaries." 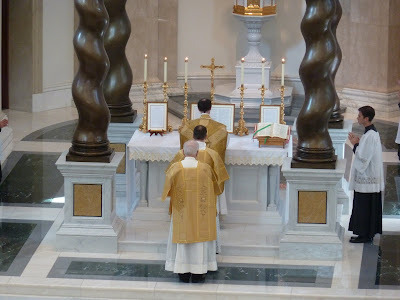 Wadsworth read an example of the original Latin text from the missal and then two versions of a translation—one from the current missal and one from the new missal. "I would suggest that if we were to characterize those two different approaches, the current translation is a bit flat," he said. "The ideas are there, but they've sort of been squashed. In the new translation, they are re-inflated. They have something of the natural balance that is evident in the Latin. The phrases balance each other perfectly, the ideas are well presented, and you get a greater sense of what the prayer is about." Msgr. Wadsworth also explained the process of achieving the new translation, which will be implemented in the United States on November 27, 2011. "The bishops are involved in every stage of the production of this text," he said. "Great care has been taken in the preparation of something which is so precious to us." He said that a base translator, who is accomplished in both linguistics and theology, initially translates each text. That translation is then evaluated by a team of four bishops, who present the text to the 11 bishops who serve on ICEL. The text then goes to the 11 conferences that those bishops represent. There, comments and recommendations are made, after which it is sent back to ICEL. ICEL makes adjustments to the translation and then it goes back to the 11 conferences for review. With a 2/3-majority vote, it is approved and sent to the Holy See. 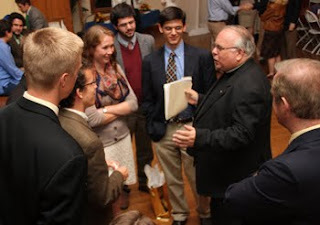 Many students and faculty lingered after the talk to discuss the topic further with Msgr. Wadsworth. Msgr. Wadsworth, an accomplished musician and leader of a choir that performs internationally, also noted that the new Missal contains more music that any other Missal in the history of the Church. "The music is Gregorian chant—with which I believe you are familiar," he said with a smile. 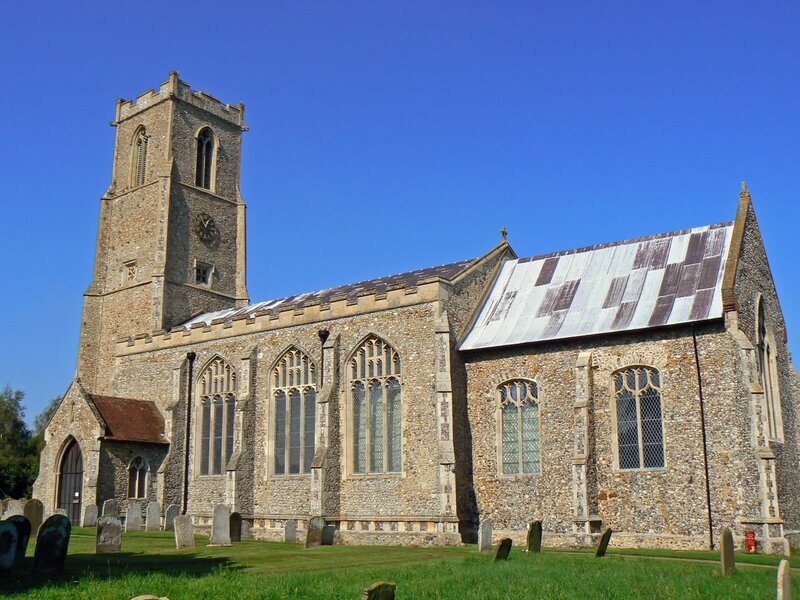 "The Latin and the English sometimes appear side by side, which is a powerful way to reinforce that the singing of chant in Latin is perfectly alright in an English celebration of the Mass." He went on to encourage students in their study of Latin, saying that the language is the "matrix" of much of western civilization and even more so of the Church—particularly with sacred liturgy. "The number of men and women who have the necessary command of the language is pitifully small at the present. It has dwindled," he said. "You are part of the new wave that's going to produce a new generation of scholars that will have not only these skills, but the sensibility to understand what the liturgy is about because you've been formed with Catholic theology. It is not sufficient to be a linguist. 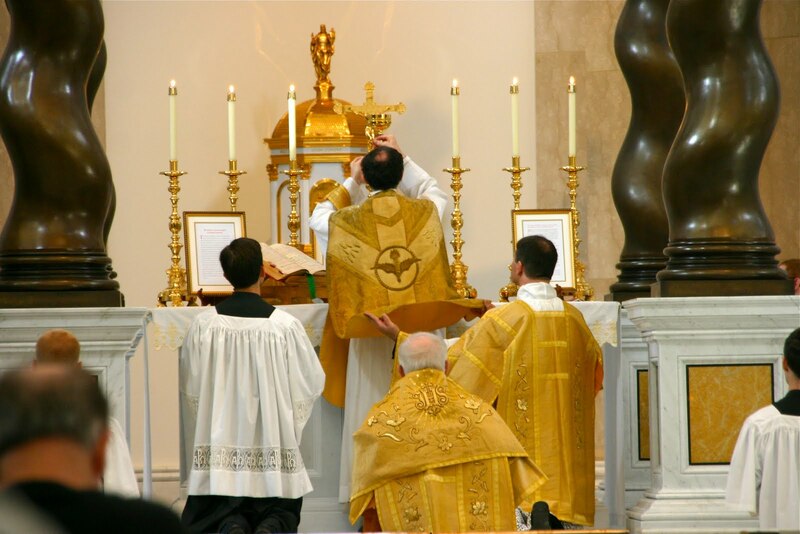 You have to be a linguist who understands the theology of the liturgy and who understands the truest purpose of the liturgy." Concluding, Msgr. 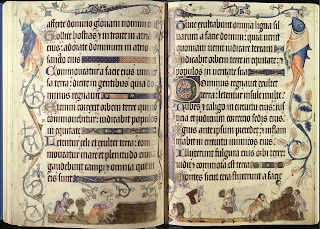 Wadsworth said that the purpose of the production of the English edition of the Missal—and the guiding purpose in all of ICEL's activity—is to create a dignified celebration of the sacred liturgy enabling all people to come to a greater experience of the saving mysteries that are celebrated. 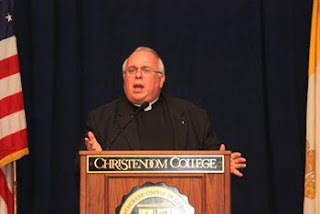 "In that respect the goal of ICEL and Christendom College is essentially one and the same," he said. This timely and informative lecture can be downloaded at Christendom on iTunes U. This lecture was part of Christendom College's Major Speakers Program. An important aspect of the academic life at the College, the program seeks to offer the students and community an opportunity for cultural, intellectual, and spiritual enrichment beyond the classroom. Through the program, students are given the opportunity to gain greater insights and depth of understanding of important issues, and to interact personally with a wide range of men and women who are shapers and critics of our society. 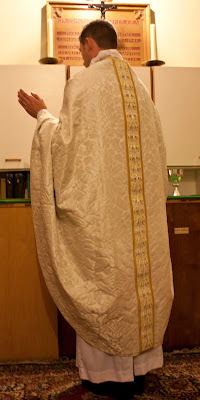 The title is somewhat in jest of course, but it is somewhat apt since these images are of the conical chasuble which Fr. Lawrence Lew, O.P. 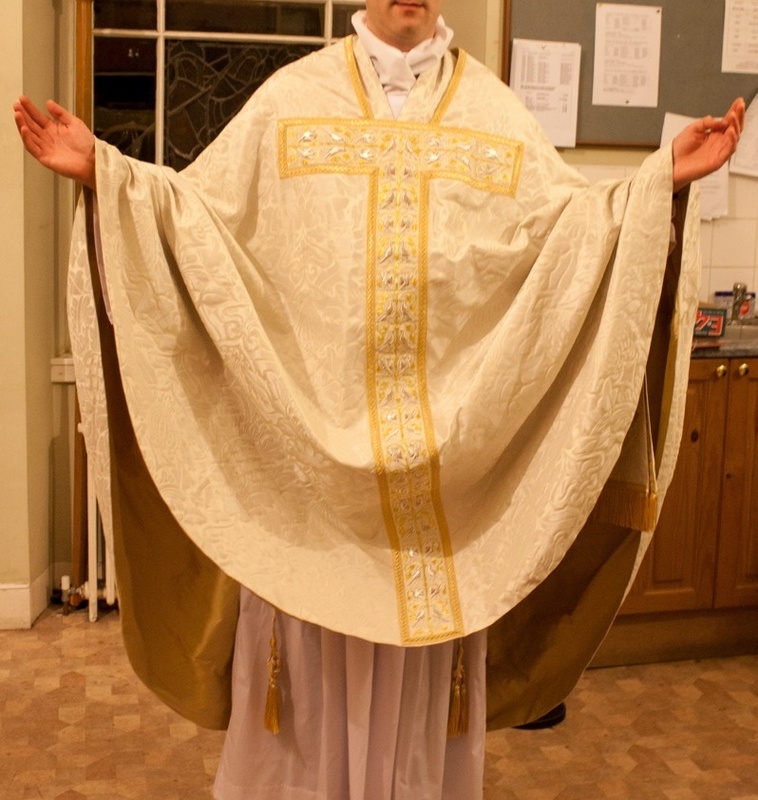 had commissioned for his priestly ordination. I specifically made this request of Fr. Lawrence being that I have always quite supported the revival of this ancient form, so beautiful in its own right (when properly executed and worn) and so iconic in Western sacred art -- of course, as I am always careful to point out that when I say this, I do not say it to the exclusion of other forms of the chasuble of which my personal opinion is that the most reasonable view is that which admits the same diversity the Church herself admits through her living tradition, but I digress. Here are some views of this splendid chasuble. 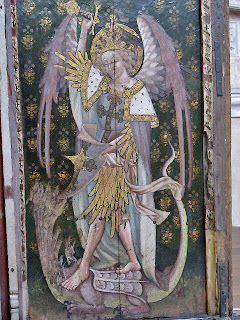 Here is a picture of St Michael from the rood screen at Ranworth church in East Anglia, England, for the Feast of Saints Michael, Gabriel and Raphael, Archangels. I have posted other pictures of the church and screen below. 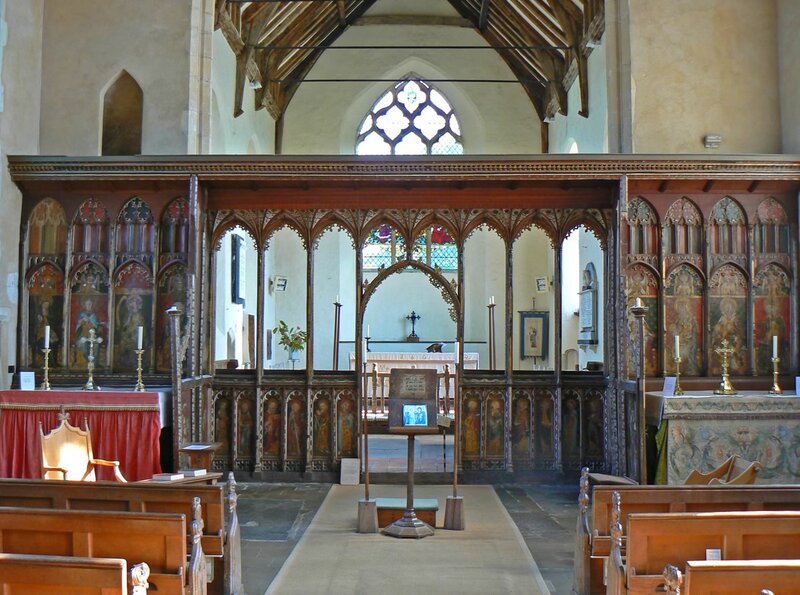 I understand that the church is 14th century and the screen is 15th century. 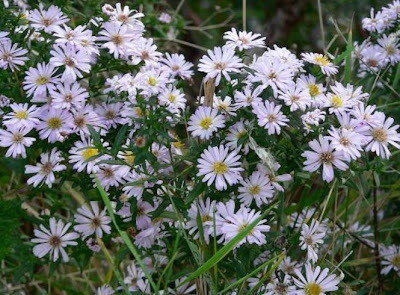 Also, just to set the tone, and to continue with a past theme of looking at the book of nature, I have included at the bottom some photos wild asters, which grow wild in New England where I live. I recognise them as Michaelmas daisies from the gardens of England and so remind me of home too. As far as I can tell, the reason they have this name is simply that they flower around the time of this Feast. 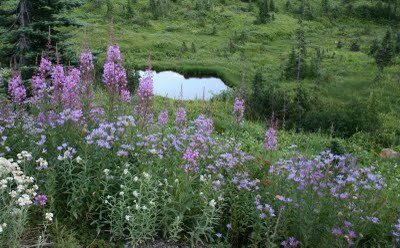 Nevertheless it is a good way to reinforce the fact that all of creation is directing our praise to heaven, through its beauty, and the cycles and rhythms of nature are an earthly sign of those of the heavenly liturgy. Michaelmas has an additional significance for me as my high school and university in England, neither of which were Catholic or religious, still called the first term of the academic year Michaelmas Term (the other two being Hilary and Trinity, after St Hilary of Poitiers and Trinity Sunday). 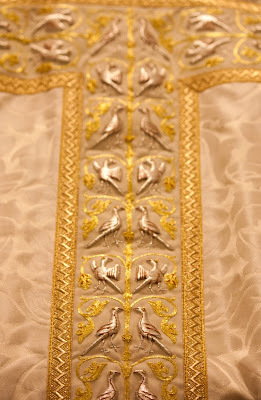 This is a remnant of the days when all of life was ordered around the rhythms and patterns of the liturgy. So even the calendar of non-religious institutions drew from and therefore pointed to the liturgy. We have just started the new academic year at Thomas More College of Liberal Arts, and in common with most of American colleges academic year we have a two semester system. 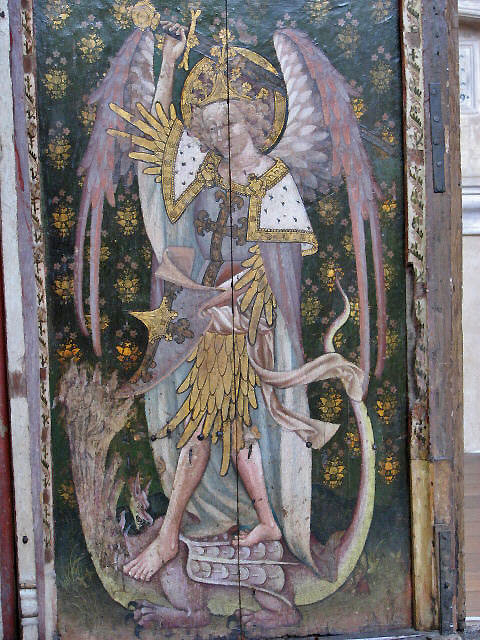 I decided therefore to refer to first as the Michaelmas Semester; and the one after Christmas as the 'Hilary and Trinity Semester' in my Way of Beauty class in order to emphasise the point. 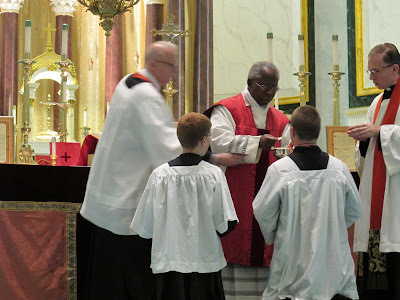 Francis Cardinal Arinze celebrated a Pontifical Low Mass in the Extraordinary Form today, Sept. 28, 2011, at the Church of the Holy Name of Jesus in Providence, RI. The administrator of this church is Fr. Joseph Santos whom you know from his celebrations of the Rite of Braga. 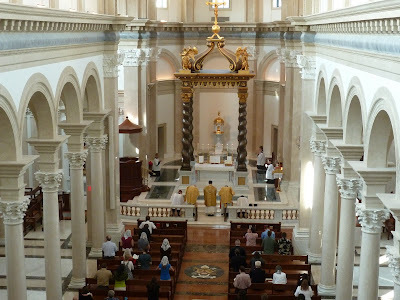 The following is an exclusive NLM preview of an article (printed here in its entirety) which is appearing in the forthcoming edition of The Latin Mass Magazine. The article is by one who will be familiar to many of our readers, himself a longtime NLM reader and sometime guest contributor, Dr. Peter Kwasniewski, a professor of theology and philosophy at Wyoming Catholic College. His article looks at a core matter for today, the Second Vatican Council and the hermeneutic of continuity vs. rupture, but particularly as seen through the lens of Archbishop Piero Marini. It was offered to us to print as an exclusive preview, and we are only too happy to publish it here. While we are on the subject of the Latin Mass Magazine, I see they have updated their website somewhat and now include options for subscriptions by Paypal as well as an e-edition of the magazine. Their forthcoming editio, in which this article appears, also includes some other interesting sounding articles, such as "Roman Landscape" by Alessandro Zangrando (another friend and reader of NLM), "The Vulgate and the Council of Trent – Part 1" by Albert Edward Doskey and "Liturgical Year: Showing the Tree to the Acorn: Feasts About the Resurrection of the Body" by Michael P. Foley. 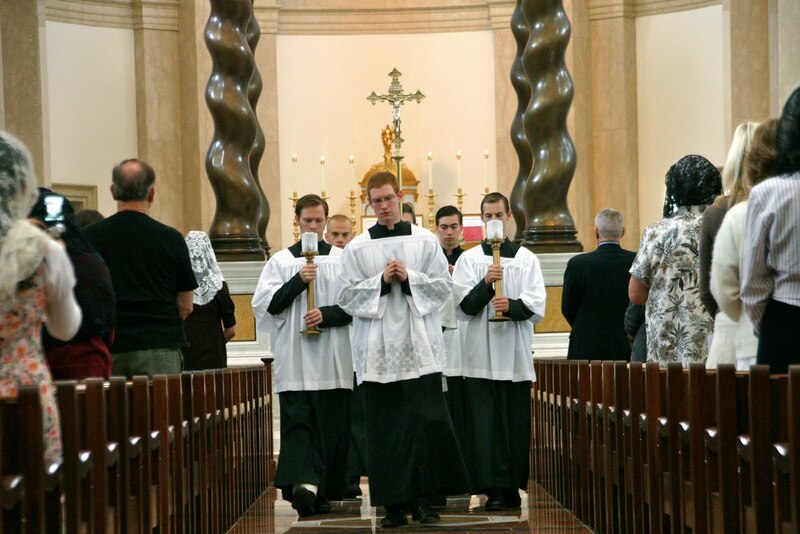 Today's scholas working within the ordinary form have a great appreciation for The Gregorian Missal, which provides most all the music they need for Sundays and Feasts throughout the year. 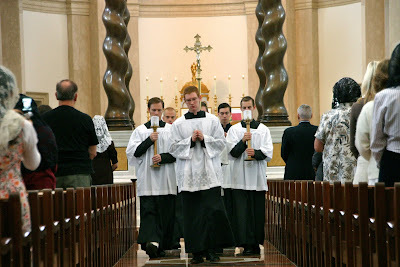 It is a masterpiece of economy: introits, offertories, graduals, alleluias and tracts, and communions, all just for Sundays. 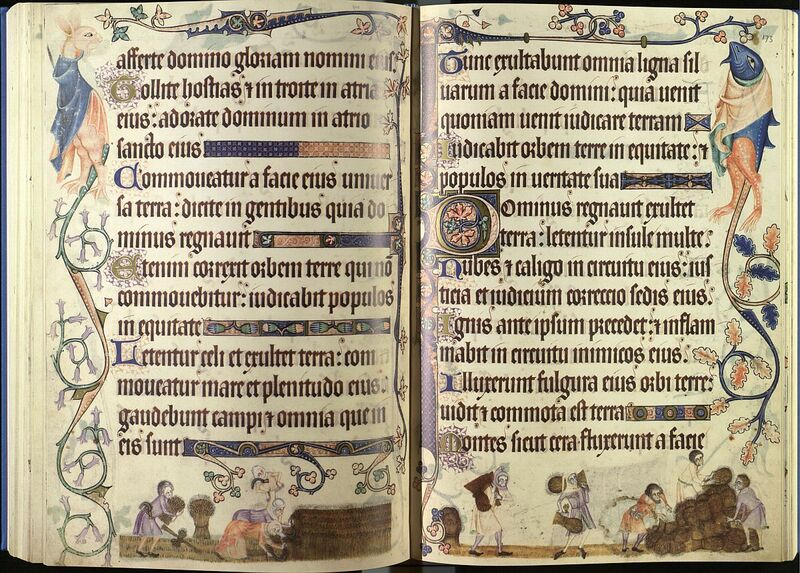 Before The Gregorian Missal there was the Liber Brevior, which I believe came out in the 1950s. It shortened the vast resources available in the Liber Usualis to just what the schola needed to sing at Mass. So 2000 pages became 800 pages, and it is a very nice size print. I'm not sure how widely circulated the book was at the time, but it is pretty clear that the Gregorian Missal is based on this model. The good people at Preserving Christian Publications have now reprinted the Liber Brevior, and this is a wonderful thing. It is a fraction of the price of the Liber Usualis, and mostly meets all the needs of a schola that sings for the extraordinary form. It includes only Masses for Sundays and Feasts, so you avoid the bulk and complexities of the full Graduale and you don't have to sort through all the extras you find in the Liber Usualis. This is a very helpful and nice resource, and the price is really right. The editions of music of course are stable across all of these books - all of them prepared by the monks of Solesmes. This makes singing at Mass a straight-forward matter. And if you are good at calendar conversions, you could use this at the ordinary form too. And congratulations to PCP for doing all of this. There can be much money in this work, and yet their prices are reasonable and their quality first rate. You can buy the Liber Brevior here. One of our readers pointed out the following letter on the divine liturgy, written by His Beatitude, Patriarch Gregorios III of Antioch and All the East, of Alexandria and of Jerusalem for the Melkite Greek Catholic Church. 17. 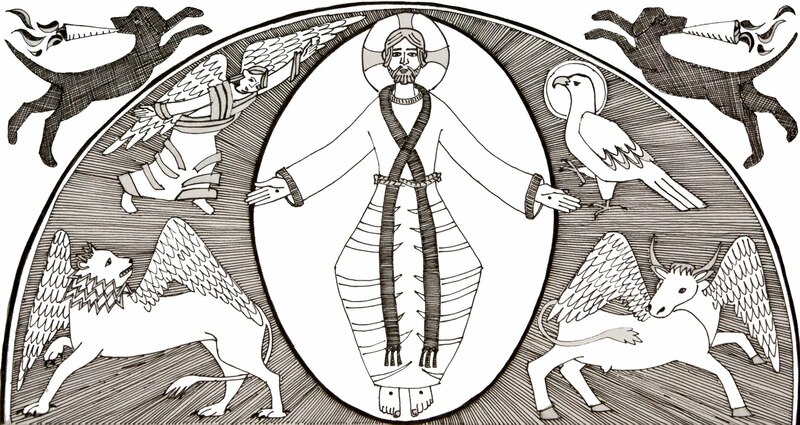 So the earth becomes heaven and life becomes in the Christian vision a universal, cosmic Divine Liturgy. That is why it is said that the Divine Liturgy is heaven on earth. Now all this said, I would be remiss to not make note of the fact that this document has received some mixed reviews, not for the reason of the quoted sections above (which are quite good), but rather because some of the specifics surrounding the "practical guidance" noted in the document. Guidance which, as one Eastern Christian noted to me, is understood as possibly mimicking some of the very things that Latin rite Catholics have found to not have worked out liturgically. As many of you will know, the Benedictine monks of Norcia have for some while been providing recordings of their Sunday Vespers and also of the Sunday Mass, something we have been keen to promote here for those who would like to listen to the sung Divine Office in Latin according to the Breviarium Monasticum. 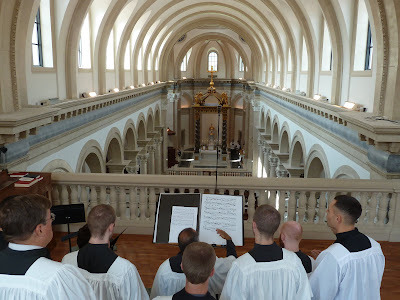 Well, what we haven't let you know about is that in point of fact, these recordings are actually available daily including not only for Vespers, but also for the daily Mass and now also for the office of Lauds. Each day these are uploaded by the monks to their blog where you may listen to them in their entirety. Evidently, this resource might also be useful as a point of reference for those who are thinking of establishing groups which sing the Divine Office, or for parishes which might be thinking of the same. Incidentally, here too you can also read the various homilies of the monks, including those of Dom Cassian Folsom, OSB. Always interested in showing the splendours of Byzantine chant and divine liturgy, our friends at Byzcath.org brought the following full length video to our attention which shows a Vigil for Reconsecration which took place in Olyphant, PA on September 16, 2011. The church was being reconsecrated after a fire. The choir is that of St. Tikhon's Seminary. On September 10th, Una Voce Ventura hosted a conference at Thomas Aquinas College, "Applying the Fruits of the Extraordinary Rite to Family Life." The conference included a Solemn Mass offered in TAC's beautiful chapel, offered by Fr. Paul Raftery, OP, the chaplain to Thomas Aquinas College, with Fr. 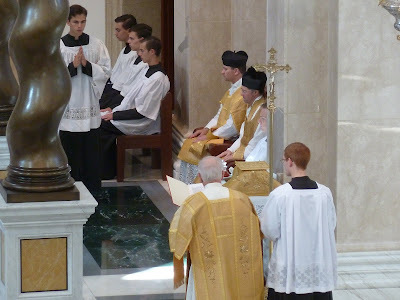 James Fryar, FSSP acting as deacon and Fr. 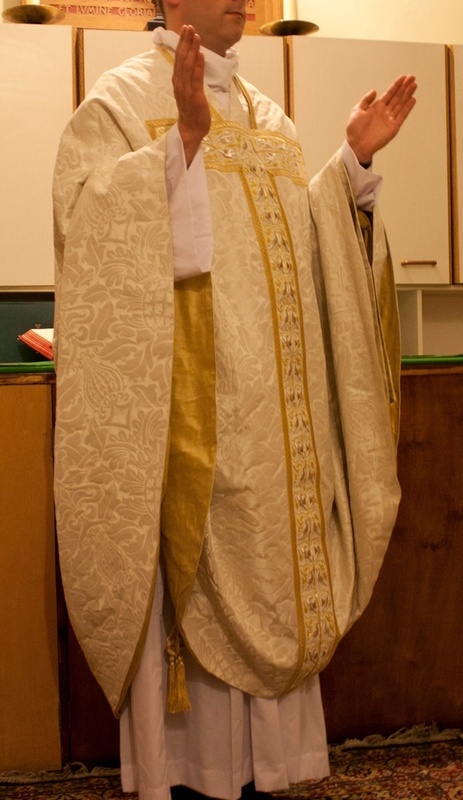 Gregory Heidenblut, OSA, as subdeacon. 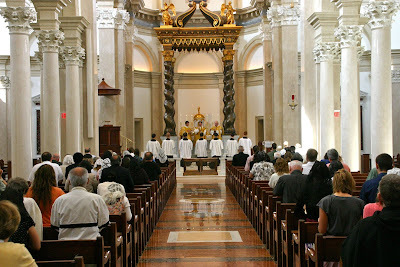 Seven students of TAC acted as servers, and the schola was also provided by TAC, under the direction of Dr. John Nieto. A full photo album has been made available here. Here is a selection. As well, the music from the Mass has been made available here. We were very pleased to be sent notice of the following video interview which took place as part of EWTN's "Life on the Rock" programme, wherein Fr. Armand de Malleray, FSSP, Fr. Joseph Lee, FSSP and Vanessa Brinks speak about Juventutem, the youth organization which is centred around the usus antiquior. Our readers will recall a previous post about my work on the illustrations for Liturgy Training Publications' edition of the new translation of the missal. 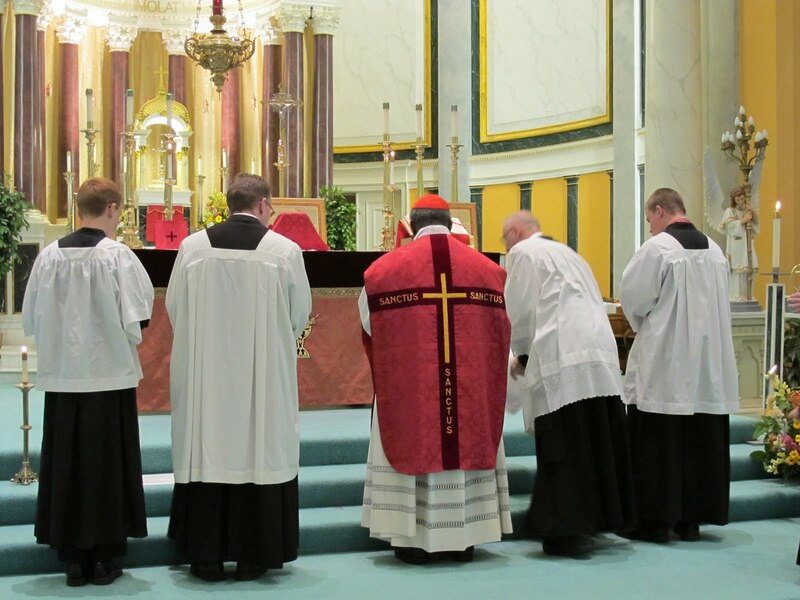 Those in the Chicagoland area will be pleased to hear that LTP will be hosting an open house in honor of the new edition, culminating in a blessing of copies of the new missal by Francis Cardinal George, Archbishop of Chicago. I, sadly, will not be in attendance, but you will have ample opportunities to view the finished product! The open house is at LTP's offices at 3949 South Racine Avenue, Chicago, beginning at 4:30 PM, today, September 26, 2011, and concluding at 8 PM. 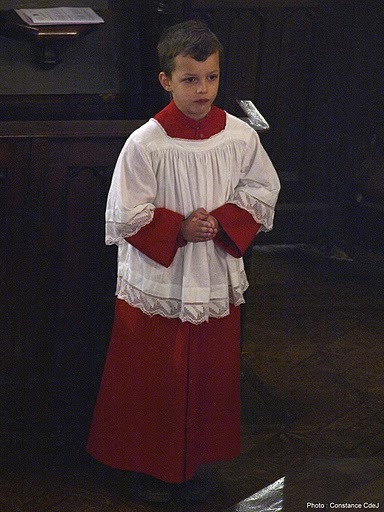 The cardinal's blessing will begin at seven o'clock. There will be complementary light refreshments and gifts, and attendees will have the opportunity to enter a drawing for a new missal. 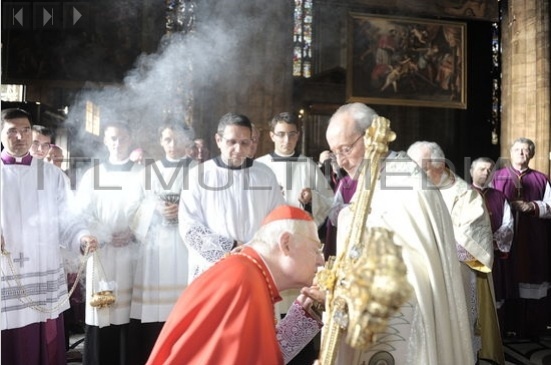 As a quick point of note, Angelo Cardinal Scola took his place today as the new Cardinal Archbishop of Milan. The website of the archdiocese of Milan has a few photo albums available; the first, of the Cardinal's arrival outside the Duomo, the second, at the Basilica di Sant’Eustorgio (and if you like reliquaries, you'll want to look at those photos), and finally, of the installation Mass itself in the Duomo. The NLM takes particular interest in this now effected appointment with a view to how it might positively affect the freer availability of the usus antiquior Ambrosianus. Because people continue to request these video/audio presentations every week, from the Simple English Propers, here are the propers for the processions in the ordinary form. Keep in mind that this project, which can potentially change the experience of Mass for millions of Catholics, has also put on display a completely different publishing model. The entire book is online for free at musicasacra.com/sep in a variety of formats. The model is called "the commons" because the music is published in a non-proprietary way, so no licenses are necessary at all. You can print and sing, without buying the book and without possessing a license from the state. We might say that this was the model in which the Psalms themselves were published and Christianity took hold in the world. The idea is not to extract revenue from the few who are desperate but rather to change the world on the assumption of limitless demand. Keep in mind too that these pieces are not performance pieces as such. 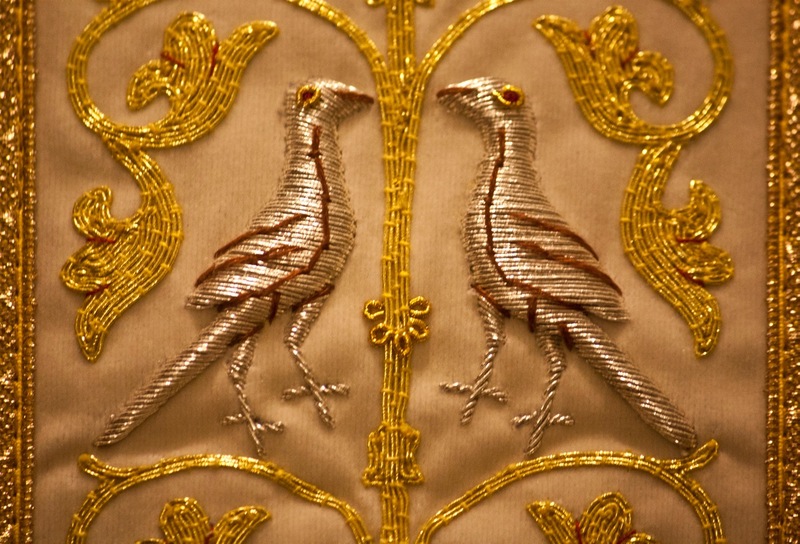 They are sung prayer designed for a particular liturgical use, and it is only in this liturgical context that this music takes flight. There is an element of absurdity in posting youtubes of the melodies because the presentation completely lacks the context. In living use, they take on a different character entirely. I recently read The Liturgical Altar by Geoffrey Webb. Originally written in 1936 and republished just last year, this has been referred to a number of times by New Liturgical Movement writers. I was reading it, as one might expect, to try to find out more about the design of altars, but a short section at the end where he discusses general principles caught my eye. Geoffrey Webb is describing a time when the culture of faith and the wider culture reflect common values. This wider culture might be thought of as the everyday practices of living that reflect, and in turn reinforce, the values, priorities and beliefs of a society. He mentions the 12th century, but the same could be said of all of the period up to the end of the gothic and then after the High Renaissance in the baroque period. The wider culture that came out of the Church’s counter-Reformation, the 17th century baroque, was so powerful that it was adopted by the protestant countries of Europe as well. 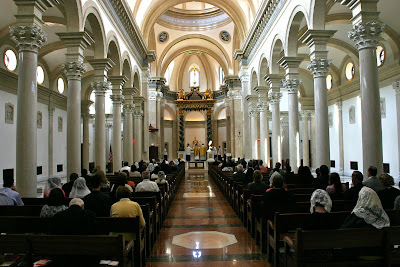 The culture of faith might be considered to have two aspects: that of the actual practice of the faith - attendance at Mass and the prayers and devotions of the faithful; and second the art, architecture, music and so on connected with the liturgy and prayer. If the link between the practice of the faith and other culture is broken so that the wider culture reflects values other than those of the faith, you have an unstable situation. The two cannot sit side by side and without affecting each other. A Catholic social ghetto is not the answer, for even the most cloistered monk cannot help but be affected by the society in which he lives. In time cross-fertilisation will occur and the stronger will dominate and eventually overcome the weaker. Either faith will affect the culture and evangelise it; or the wider culture will infect culture of faith and then destroy faith itself. The need to to repair the bridge between the wider culture and culture of faith in order to evangelize the culture, was impressed upon me just last year by visiting lecturer at Thomas More College of Liberal Arts, Fr. Rob Johansen (of the diocese of Kalamazoo, and currently working on his Licentiate in Liturgy at the Liturgical Institute at Mundelein.) He spoke eloquently of how the culture not only reflects, but also reinforces the 'values, priorities and beliefs' of society. After the Enlightenment, Pope Benedict tells us in the Spirit of the Liturgy, such a dislocation occurred and this break has remained ever since. The wider culture stepped away from the culture of faith. It became one that reflected and reinforced the values, priorities and beliefs of an Enlightenment influenced worldview. There were two responses he says: one was to try to create Catholic social ghettoes that shut out mainstream culture and both were inadequate. This created an attitude of ‘historicism’ which was an unthinking and sterile attempt to recreate an idealized past. Inevitably, this approach is doomed to failure because the culture of faith is not seeking to engage and overcome the wider culture, but to escape from it. The wider culture will hammer away at the church door until it finds a weakness in the defenses and floods in. This is precisely what happened, it seems to me, after Vatican II. The intention was to open the doors and the let the Faith out to evangelise the world, but in the end the opposite happened. 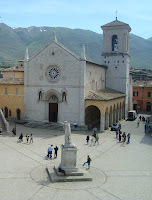 To blame were the improper implementation of the Council (covered may times in this site); and the other tendency described by Pope Benedict in response to the dislocation of culture: that of attempting to compromise the culture of faith with the secular culture. Secular culture is strong in reflecting the practices, beliefs and values of what is bad (eg the Enlightenment). Trying to use this to promote what is good, just results in an impotence. In the context of art, trying to portray something good with the visual vocabulary of despair either creates, in my judgement, inappropriately ugly Christian art; or else in trying to remove the ugliness, leaves the artist with a visual tool set robbed of any power at all, which produces a weak, sentimentalism – kitsch. Neither does anything to stop the erosion of the values of the Faith and the progress of the secular worldview. Writing in 1936, Geoffrey Webb says that his ideal of divine beauty is absent in both secular and liturgical art. Liturgical art has, he says, ‘lost the spontaneous and creative spirit, and that feeling for the beauty of nature which is so characteristic of the Psalms.’ In other words, the practice f the faith is separated from all other aspects of the culture. Looking at the situation today, one is hardly likely to say that in general the situation has improved much. There are signs that the right sort of response is beginning to take place, I think and this offers hope for the future. What is the answer, how can we establish a vibrant culture of faith that engages with the wider secular culture without compromise and evangelises it? The answer, I believe, comes down to the way that each of us lives our daily lives. 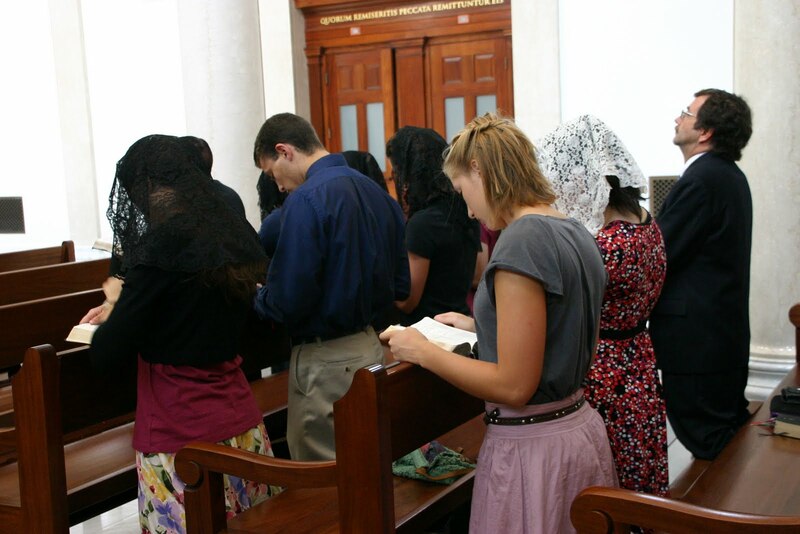 If our day-to-day activities reflect a Catholic culture then it will be stronger and more attractive than anything the secular world has to offer. This is the via pulchritudinis – The Way of Beauty - referred to recently by Pope Benedict and when we march ahead confidently on this path, we can all be the ambassadors of cultural renewal and the New Evangelisation. It is to ourselves we must look first. What can we do so that our daily actions reflect that ‘unconscious beauty of nature’ governed by ‘the cross’ to quote Webb? The first step is the creation of an authentic culture of faith plus an education in beauty. The most powerful means of achieving both is the same. 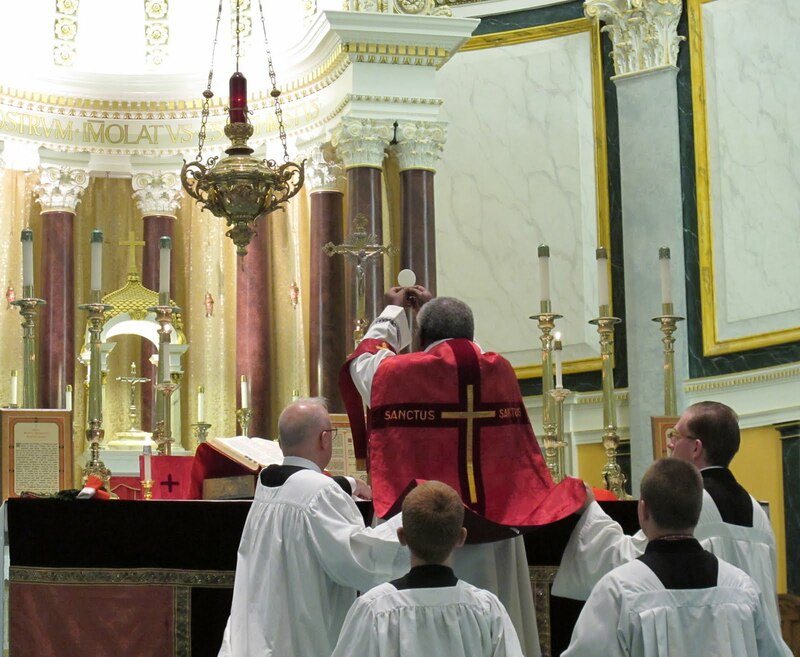 The most important educator in these respects is the liturgy. Cultural reform stems from liturgical reform. 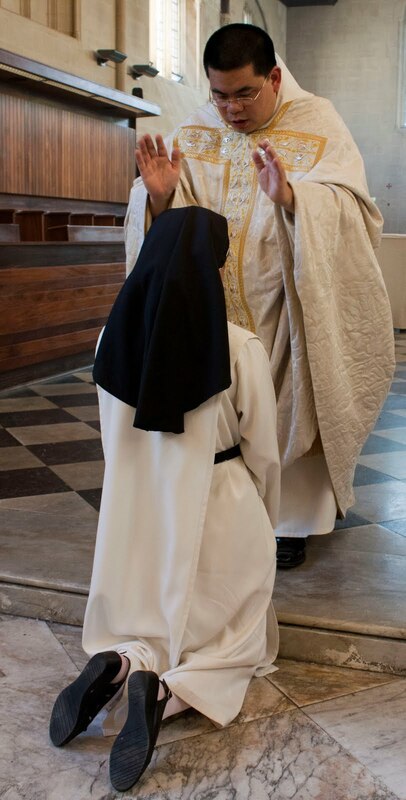 A good article that discusses this is the text of speech on the subject given by New Liturgical Movement's Fr Thomas Kocik, here. The beauty that Webb is describing is the beauty of the cosmos. The rhythms and patterns of the cosmos reveal those of the heavenly liturgy, and the earthly liturgy, which mirrors it too, is a supernatural step into this place of heavenly beauty. In developing our intuitive sense of this, the Liturgy of the Hours is so important. 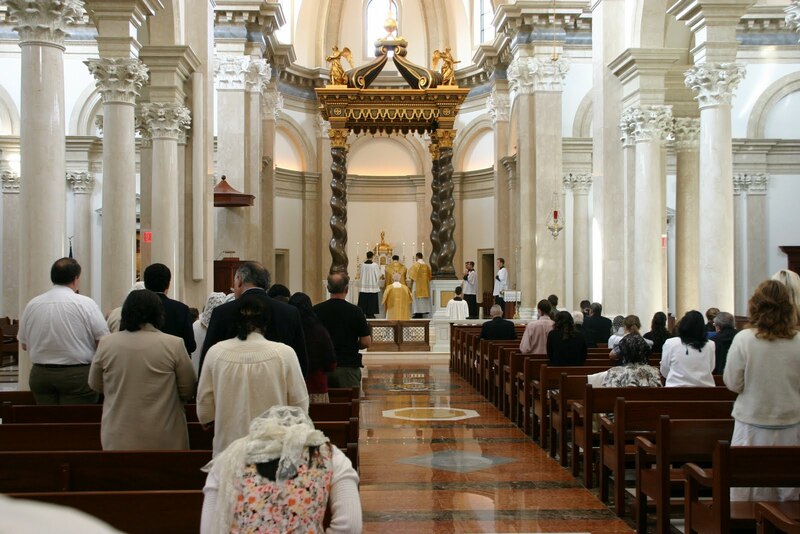 The Mass is a jewel in its setting, which is the Liturgy of the Hours. The Liturgy as a whole is a jewel in its setting which is the cosmos. Man’s work is an adornment to the cosmos, which can, through God’s grace, raise it up to something greater. The Liturgy of the Hours is the connecting door that both reveals more fully the beauty of the cosmos so that our work can conform to it (it ‘sanctifies our work’); and deepens for us our active participation in the sacrifice of the Mass and the Trinitarian dynamic of love that is worship of the Father, through the Son, in the Spirit. And as Webb points out, the psalms which are at the core of the Divine Office contain this cosmic beauty. They describe it and conform to it at every level. They even describe for us the context into which they should be placed when praying them by telling us how many times a day we should pray them (seven times and once at night). When we do this, we place the psalms in an external setting that conforms to that heavenly beauty which is the pattern of the liturgical days, weeks, seasons and year; and ordering our lives to this pattern impresses upon our hearts the essence of the beauty of the cosmos which reveals to us ‘the Glory of the Lord’. I have written a number of articles that explore in greater depth the connection between liturgy, proportion, number and beauty, here. The Liturgical Altar by Geoffrey Webb, originally published in 1936, republished by Romanitas Press, Kansans City, MO, 2010. 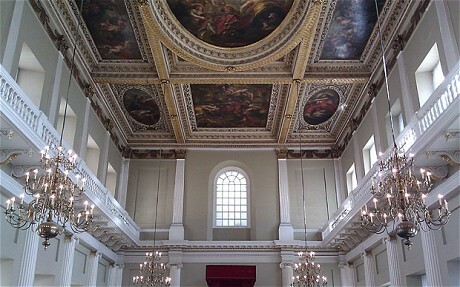 Above, first a baroque church, of St Paul's Antwerp and second, the Banqueting House in London. An example of how the form of the Catholic Counter-Reformation became that of the wider culture, even in protestant England. 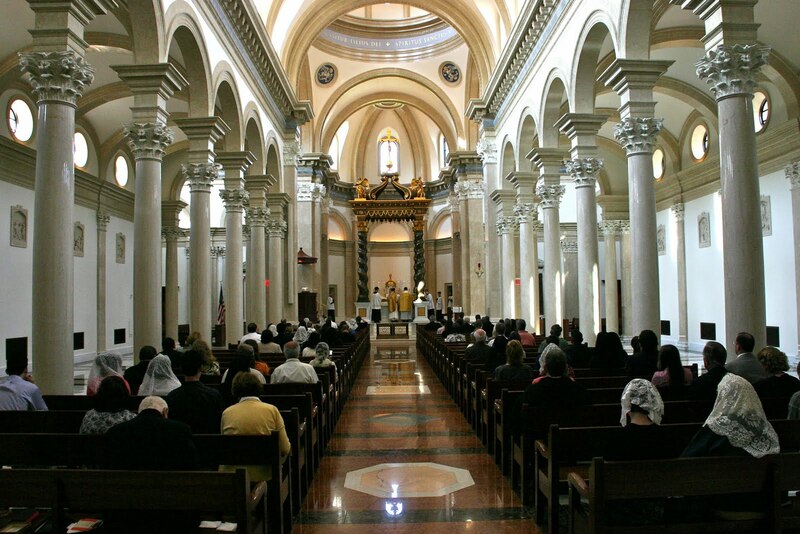 Below: the opposite case, the wider culture has influenced the culture of faith in this Catholic church built in the 1950s (pre Vatican II!). 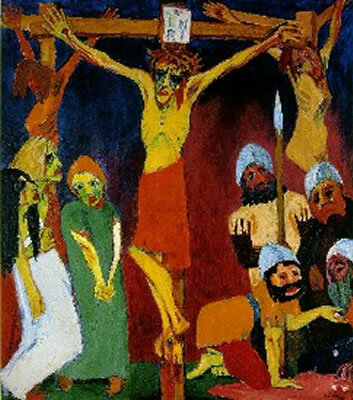 Below: a crucifixion from 1912 by Emile Nolde, which reflects the style of the mainstream art movement of the time. Below that we have a modern prayer card in which the artist, in my opinion, relies to heavily on sentiment. It is lacking an authentic Christian visual vocabulary that exists within, for example the baroque, and so is unable to communicate its message with vigour. 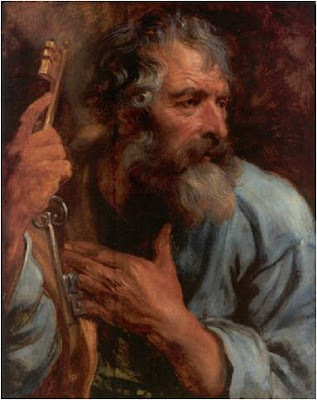 Contrast the third with Van Dyck's 17th century St Peter. Music, because it gives artistic expression to sacred texts, is treasured above all the other arts in the sacred liturgy. However, other art forms have long served to add beauty and solemn dignity to the Church's liturgy, and should not be neglected. 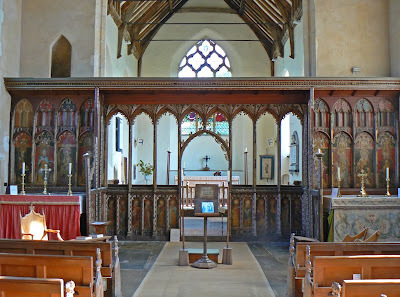 Hence, thanks to the generosity of benefactors, other works of art and craftsmanship were commissioned on the occasion of my Ordination last Saturday. It goes without saying that these artefacts belong firstly to the Order, albeit allowed to me for my use. 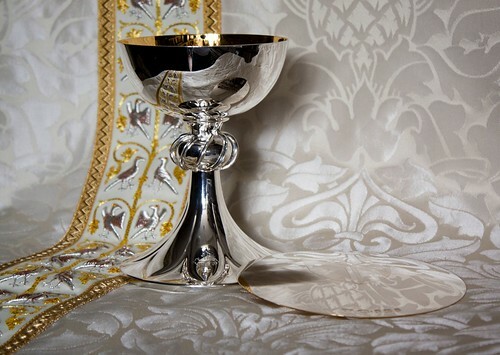 On Friday 16 September during the Conventual Mass in Blackfriars Oxford, my parents offered a silver chalice and paten to be blessed by the Prior and used by him in that Mass. The chalice is based on a medieval English chalice, c.1250 in the British Museum. It can be viewed online here. The simple scale paten is engraved with the arms of the Order of Preachers. These items were commissioned for the Order from Thomas Fattorini's of Birmingham. The chalice was subsequently used in the Ordination Mass, and again at my first public Mass on 18 September. 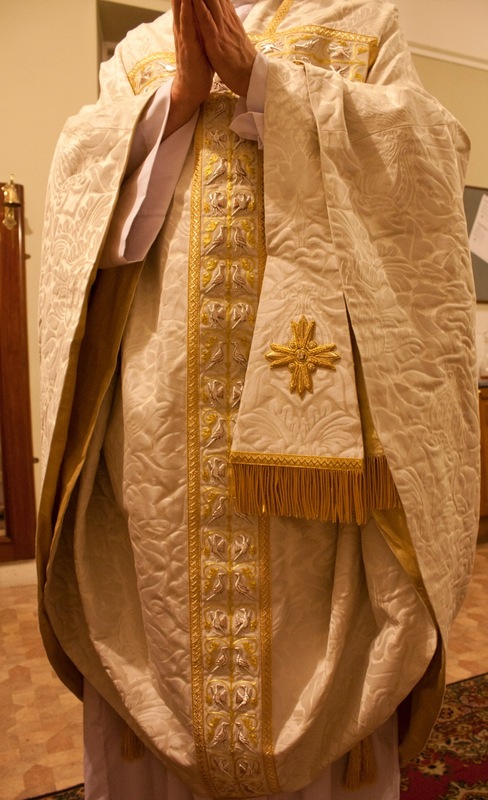 On the morning of the Ordination (17 September) Archbishop Tobin, using the traditional texts from the Roman Ritual, blessed the vestments commissioned for the Ordination. 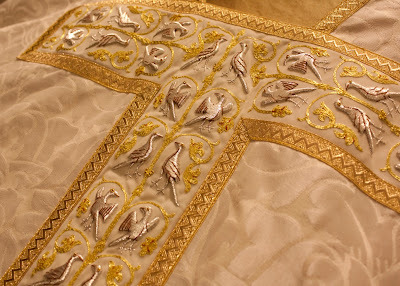 A vestment should be a thing of beauty, both in form and materials. As a symbol of Christ's charity the chasuble (so I think) should encompass the priest, and as a sign of his gentle yoke it should have sufficient weight to it so that it has to be borne up. 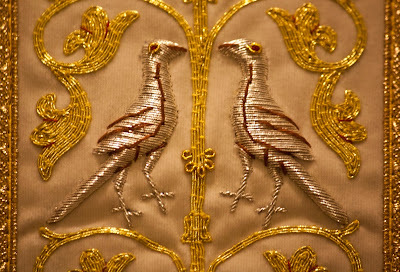 Fine vestments, pain-stakingly embroidered and hand-stitched are seldom seen these days, but many such items used to grace our sacristies and lend dignity to the liturgy. 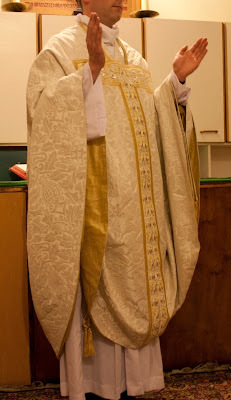 As such, Pietro Siffi of Tridentinum was commissioned to make the chasuble, with matching stole, maniple, burse and chalice veil. It took almost a year to create, but the quality of Mr Siffi's work is unparalleled. 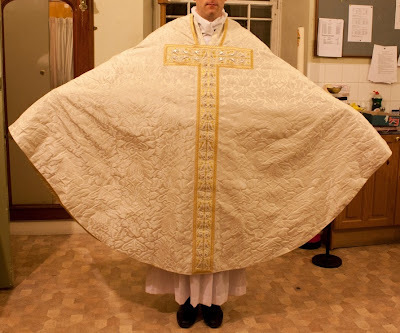 The fabric (called Fairford) is from the famed company of Watts & Co., and the shape of the chasuble is that of a full early medieval conical style. 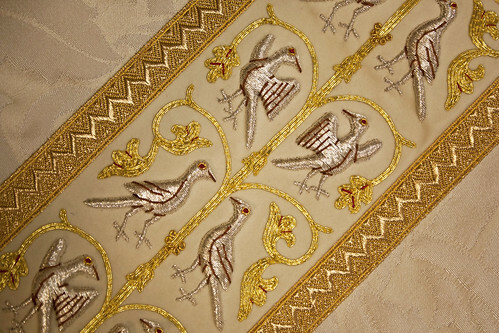 Over a hundred embroidered silver and gold doves cover the orphreys, which is thus based on a 9th-century Byzantine design from Torcello's ancient cathedral. Like the doves on the Cross in the apse of San Clemente in Rome, they represent souls resting in the Tree of Life. 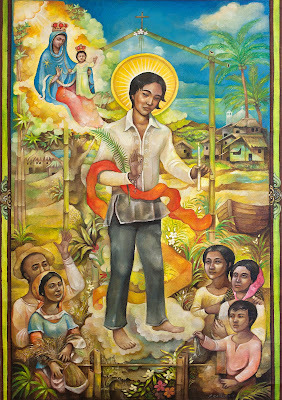 In addition, a painting of Saint Lawrence Ruiz of Manila was commissioned from an artist in the Philippines who has previously been mentioned on the NLM, Ryan Carreón Aragón. 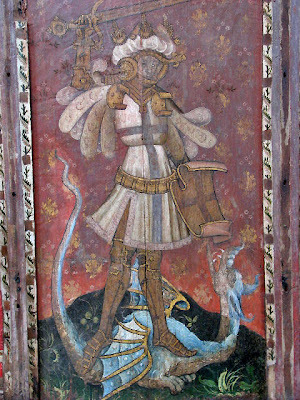 The painting shows the protomartyr of the Philippines (after whom I am named) carrying a candle as a sign of his slender faith, but a faith that carried him through to win the palm of a martyr's victory. The Rosary, and the presence of Our Lady of the Rosary reminds us of his Dominican connections. On either side of him are Filipino devotees clutching emblems of their livelihood - fish and rice. 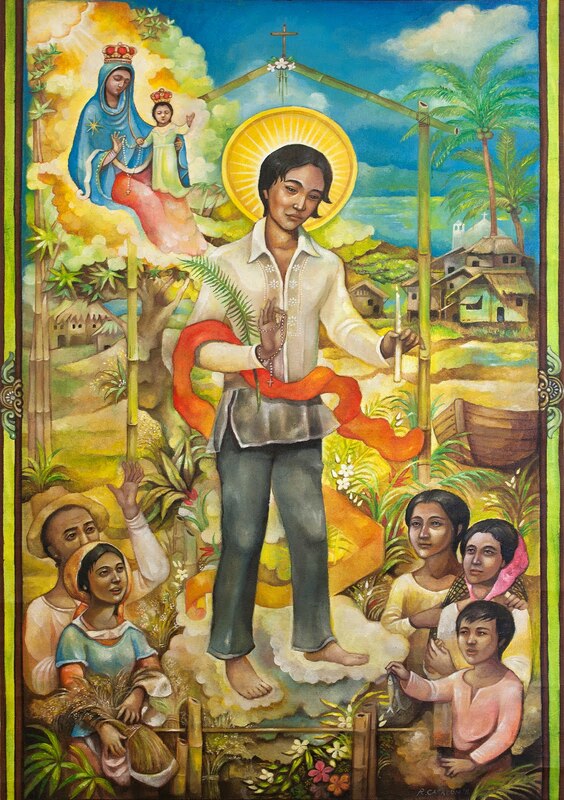 The painting will be blessed when I visit the parish of San Lorenzo Ruiz on 26 October 2011, and it will be offered in thanksgiving to that Dominican parish in Manila where I spent one year as a Dominican Volunteer before joining the English Province of the Order of Preachers. This painting was photographed and reproduced on the commemorative prayer cards given out after the Ordination. 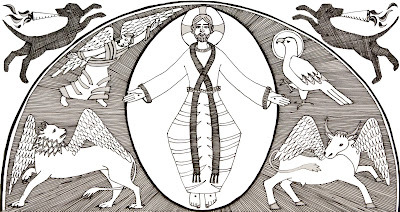 Finally, the Mass booklets used during the Ordination Mass were adorned on their covers with a pen and ink drawing of Christ the Eternal High Priest in Majesty. Based on medieval tympanums in various cathedrals, it shows Christ surrounded by the symbols of the four Evangelists, but two Dominican dogs with torches leap playfully around it. 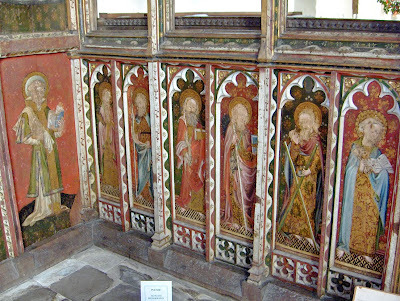 The talented artist was Louise Frith-Powell, an Oxford-based lay Dominican and friend. In conclusion, it may be well to remind ourselves that the beauty of art and material things in the sacred liturgy is meant to lead us to contemplate God who is beauty. As the NLM has noted before, Pope Benedict XVI has said that "Works of art are the fruit of human creativity, which question the visible reality, trying to discover its deep meaning and to communicate it through the language of shapes, colours, sounds." The work of art, in short, "is an open door on the infinite," which "opens the eyes of the mind, of the heart." As such, as we reflect on the holiness of beauty in the liturgy, let us pray that it leads to the beauty of holiness in our lives. Let us recall too the warning of St John Chysostom that if we adorn our liturgies with precious items and artworks, we should be all the more mindful to also cloth the naked, feed the hungry, and extend mercy to those in need. The Flickr set of photos for this Ordination may be viewed here. fr. Lawrence Lew OP is currently an assistant university chaplain at St Albert's Catholic Chaplaincy in Edinburgh, Scotland.